Hello everyone! 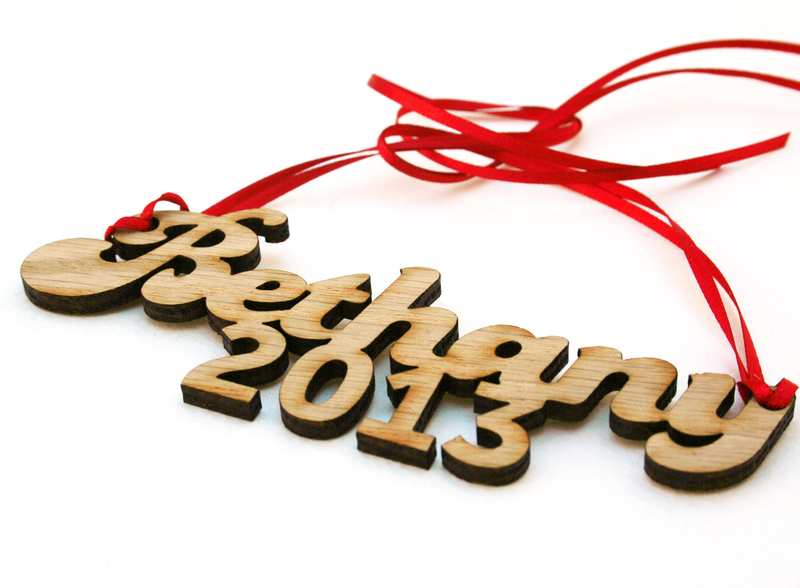 Through my new company: Pinpoint Creative Studio, we have been creating new laser cut and etched products. 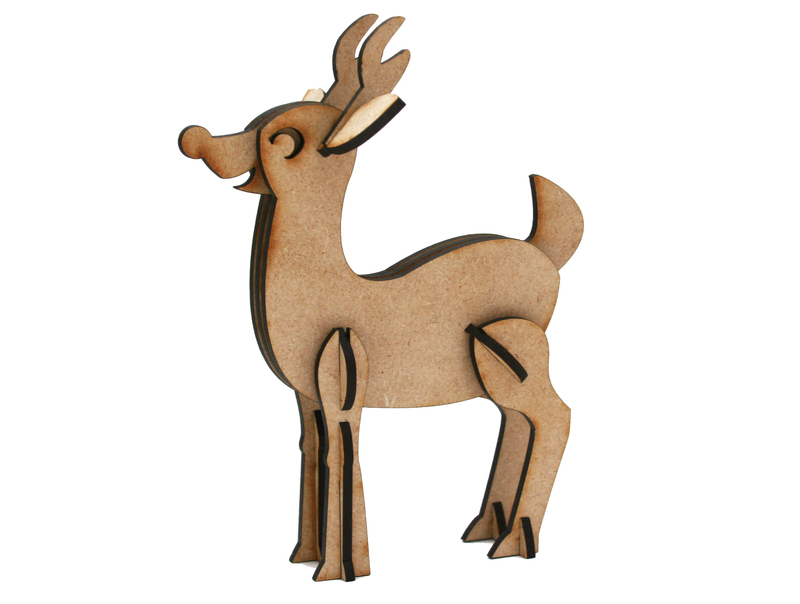 Many of these items are perfect for holiday gift giving. 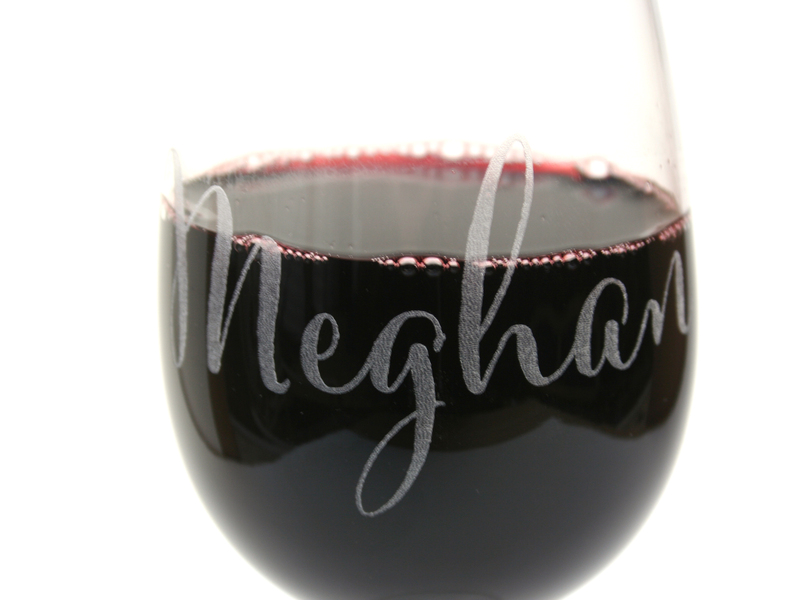 Check out our custom etched wine glasses that can be etched with any name. 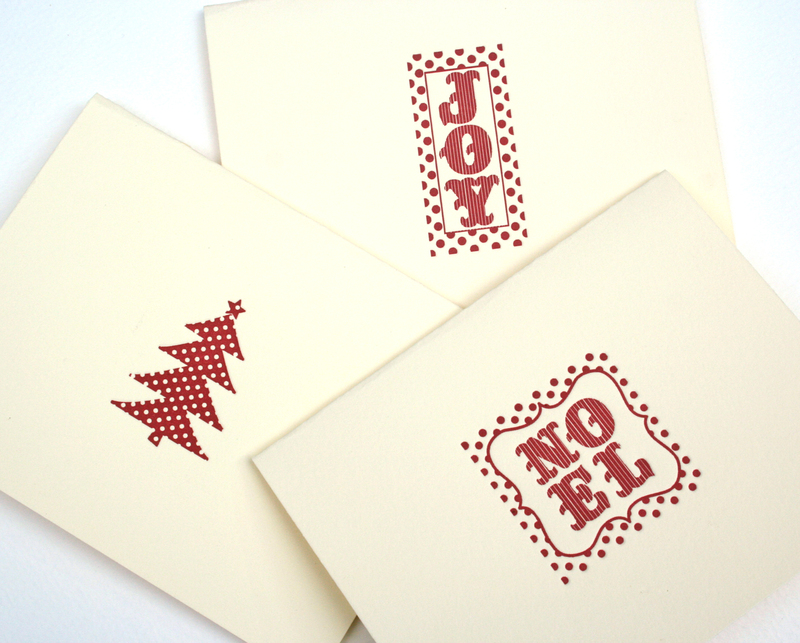 The cost is 2 for $24, and they are available in our Pinpoint Creative Studio Etsy website. 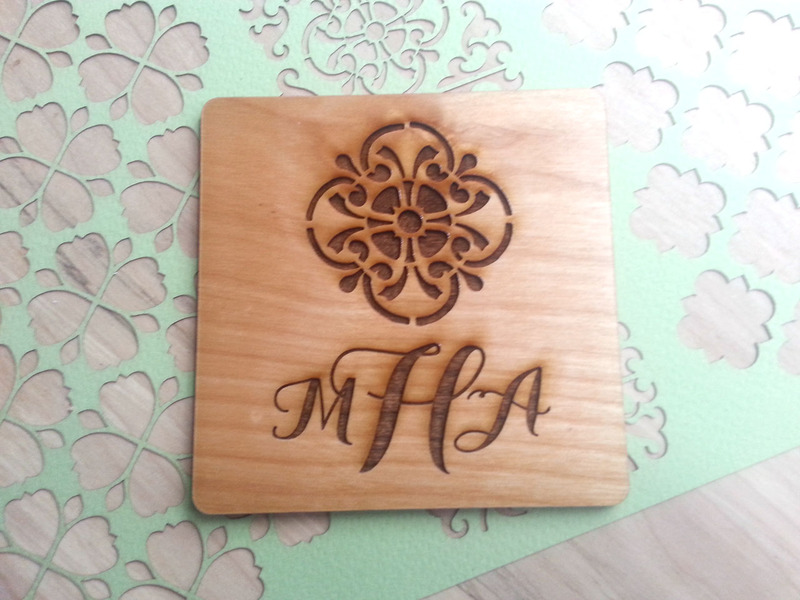 These would be great gifts for your bridesmaids too! 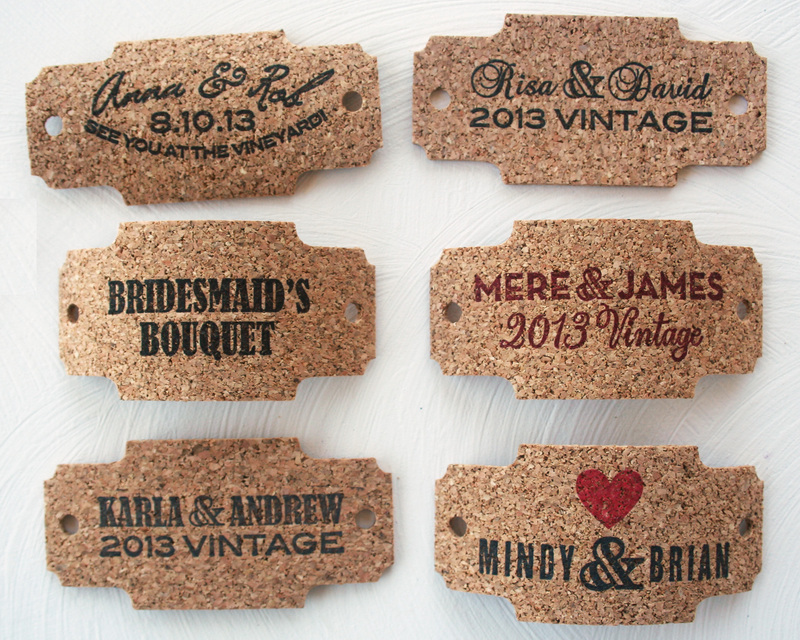 Have you seen my rustic personalized cork tags? 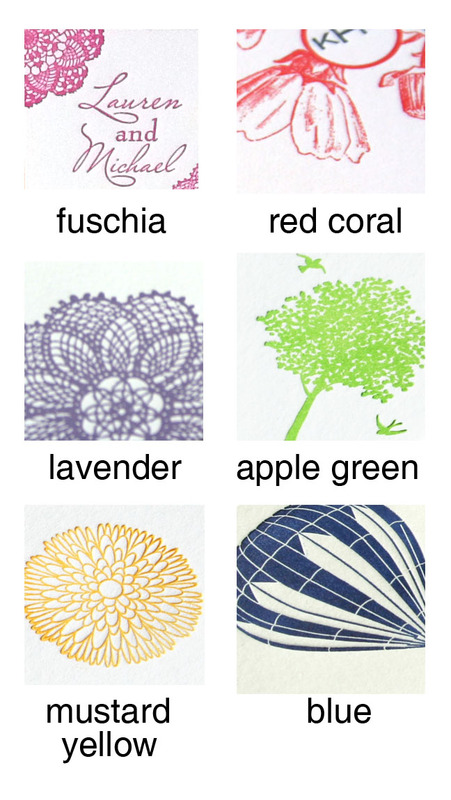 These are perfect for wrapping around a pretty wedding invitation suite, wine bottles, bouquets, wedding favors, or anything else you can think of. 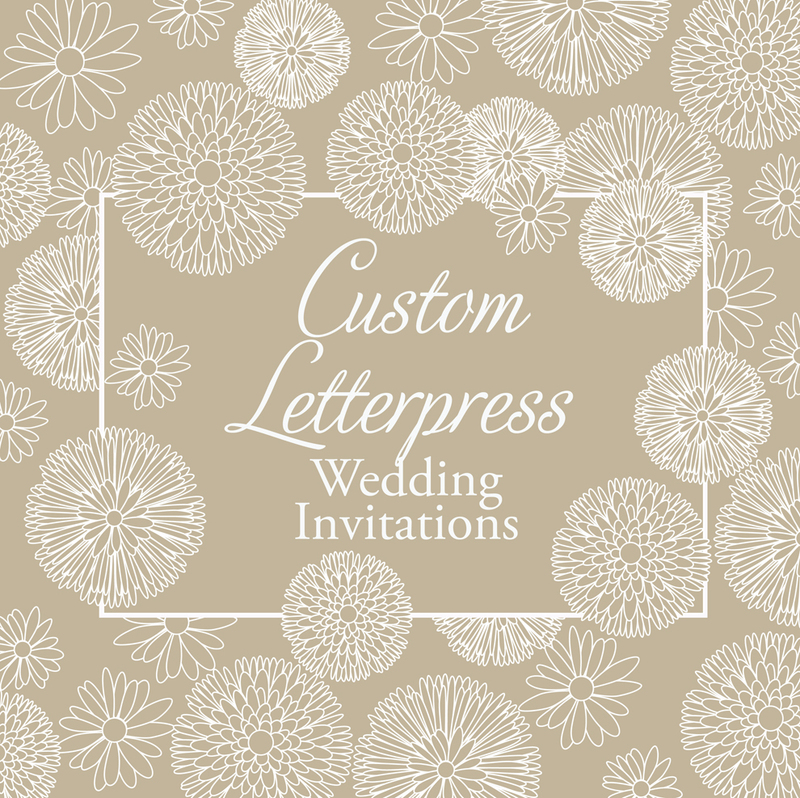 The fonts are customizable to match your wedding or event. 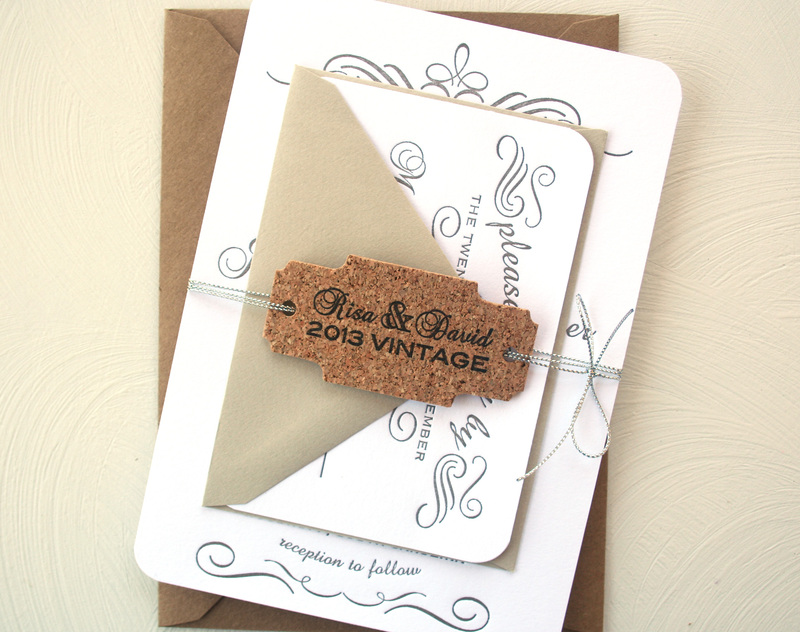 See more options and information for ordering in the Sofia Invitations Etsy Shop.